You are invited to watch this short video slideshow. Prayer carved into Mani stone. Photo by Amy Hahn. When people think of Nepal, they usually think of heights. For the Sherpa people of Nepal, living beneath the highest mountains on earth, life is an attitude of attentive presence, rooted in a land of crystalline air, alluring peaks, prayer flags flapping in the breeze, and the resonance of ceremonial bells and chants. Here the spiritual path is not just the Buddhist religion, but the way in which people treat one another, the land, and the challenges of life. “Namaste”, the traditional greeting of the Sherpa people means “I bow to the divine in you” — and when they greet you by clasping their hands in prayerful pose and bowing, you can feel what it is like to be recognized as a divine being! Many of us Westerners look toward the people and culture of the Everest region of Nepal with wonder. We sense in their approach to life an expansiveness, openness, mindfulness. In the presence of such ways of being we are able to expand our own cultural and spiritual boundaries and open up to new ways of thinking about how we ourselves want to be in our communities and our environment. Kinde and Sonam Sherpa, 2011. On this one-of-a-kind trip, we will not be seeking not the heights of Nepal but the depths. We will meet the Sherpa people in their homes, monasteries, and shops. Our walking journey through the landscape is reflective, focusing not on attaining summits, but on getting to know the land and the people who make their home there, not for attaining a summit. We seek not to adopt the Sherpa way of being, but to learn from it and to relish the experience of being welcomed in an entirely new way. Ours is also a journey into The Authenticity of Being of our own selves, made more clear in the mirror of nature and Buddhist culture. Every night the members of our group will come together for a Council, a way of diving deep into the experiences of the day as they have touched, challenged, and inspired us personally. This trip is designed to transform. You will return changed by Authenticity of Being. Because of the special nature of this trip, we can only take 10 participants, so sign up early! Includes four nights stay in Kathmandu (two before and two after trek), flights to and from lower Solo Khumbu area; full meals, tents, local Sherpa guide and trekking staff support for one-week trek, and program facilitation by Kinde and Carine. A non-refundable deposit of $500.00 reserves your place! Contact Kinde if you want to pay your deposit by check. 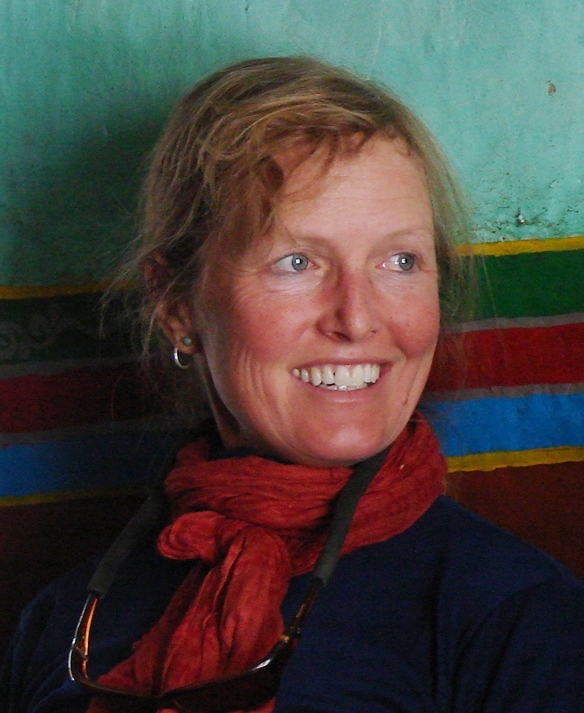 KINDE NEBEKER, MFA, MATP-EP is a wilderness rites of passage guide, teacher, designer and student of human consciousness. She is owner and creator of New Moon Rites of Passage, which seeks to support people through life transitions, offering spiritual and psychological development through deep connection with nature. Kinde guides trips, offers workshops and mentorship, and speaks, teaches and writes about the relationship between design, nature and the evolution of consciousness. 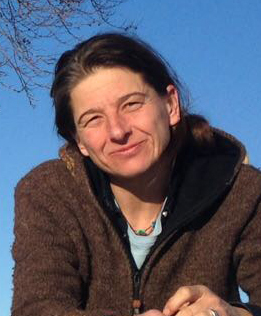 CARINE ROTH has studied shamanism with Michael Harner's Foundation for Shamanic Studies in Switzerland. She completed her practice by traveling —especially to Mexico among the Huichol Indians — but also to Guatemala, Iceland, Mongolia, Canada, Tuva (Siberia) and the USA. She did her training as a vision fast guide with the School of Lost Borders in California. She is certified in Harner Shamanic Counseling (HSC)® Her way in this work is to bridge humans and non-humans, visible and invisible, in service to soul purpose and harmony between people and the natural world. She offers healing practices and leads workshops and fasts in Switzerland. To see more about Carin's work, check out her website.